When mention of an endangered species is made, it's usually in reference to a large or distinctive mammal, such as the Siberian tiger, brown spider monkey or giant panda. But an animal doesn't need to leave a big footprint to make the federal protection list -- in fact, many endangered species are smaller than a toenail, as insects are particularly susceptible to the population-damaging effects of human development, habitat destruction and the spread of invasive plants. The Smith's blue butterfly is tiny -- his wingspan tops out at 2.5 centimeters -- but this California bug sports a lot of beauty on his little body. Males flaunt bright blue wings, while a female's wing is a darker brown; both sexes have black spots and an orange band of color on their hind wings. Native to central California, Smith's blue numbers have been hurt by buckwheat habitat destruction caused by coastal overdevelopment and illegal livestock grazing. As its name suggests, the flying earwig Hawaiian damselfly is native to the islands of Hawaii and Maui, but in the past century numbers have dwindled to a single known population on east Maui. The flying earwig Hawaiian damselfly is at high risk of total extinction due to feral pig destruction of her habit, as well as the introduction of non-native predatory ants. The damselfly can grow to a size between 46 and 53 millimeters, with black-colored males possessing pincers that resemble an earwig's. Much has been made of bee decline, and the Franklin's bumble bee is one species that's declined to the point of near-extinction. The bee is easily distinguished by its distinctive coloration: its yellow markings are notably prominent, and female Franklin's bumble bees have black facial hair instead of the usual yellow. 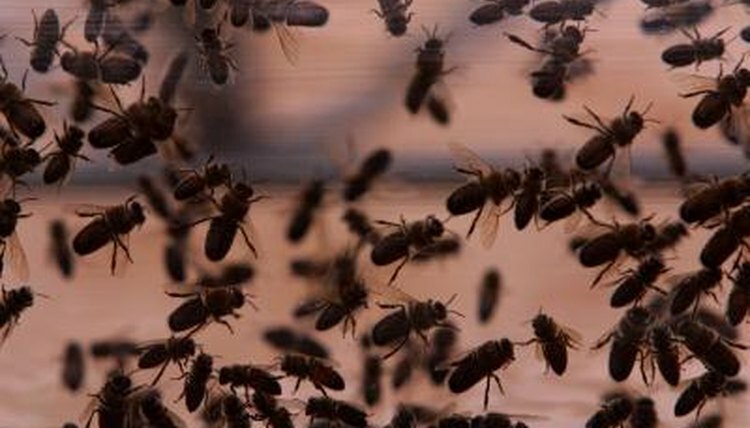 Threats include diseases introduced via commercially reared bees, overdevelopment in natural habitats, widespread pesticide usage, wildfire suppression, invasive plant species squeezing out natural food sources and even competition from honeybees. Hungerford's crawling water beetle is the single most endangered species in the state of Michigan -- the insect's entire population is limited to just five locations in Michigan and Ontario. He's a small beetle, less than a quarter-inch long, with yellow-brown coloration and dark marks and stripes on his back. The crawling beetle lives in cool, clear, fast-moving streams and is most often found under beaver dams. The main threats to this near-extinct insect are stream modifications such as dredging and bank stabilization, beaver dam removal and fish management practices that increase predation on the little insect.